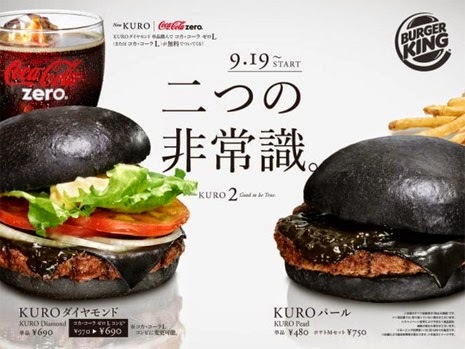 Burger King is launching "Kuro Burger" (Black Burger) in Japan this month. 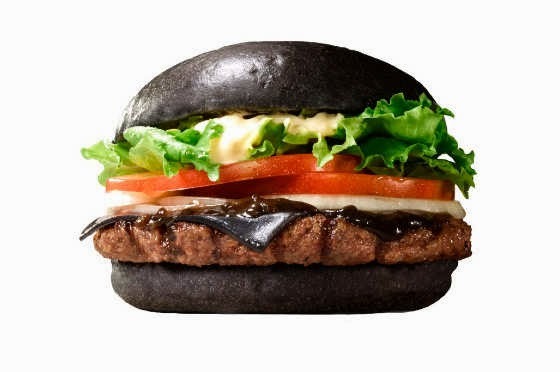 It has black buns and black cheese both made with bamboo charcoal. There is also a sauce containing squid ink. Bamboo charcoal and squid ink? That sounds and looks delicious and not like something that would give you superpowers at all.